The Multiple Connection Support Group is being set up for families with twins, triplets or quads. 1. To provide support and practical advice regarding management and coping skills by sharing experiences with other families with multiples. This will take place through informal meetings and social activities for the whole family. 2. 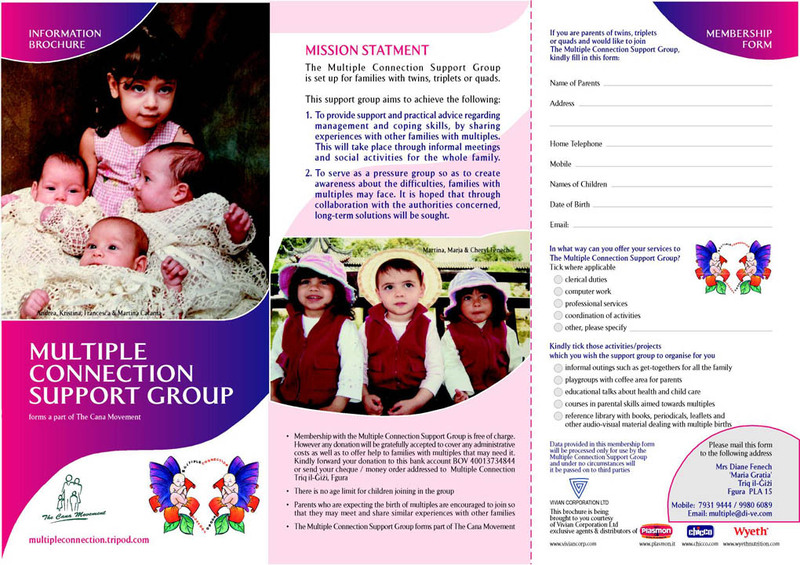 To serve as a pressure group so as to create awareness about the difficulties families with multiples may face. It is hoped that through collaboration with the authorities concerned, long-term solutions will be sought.